When you finally make peace with food, you will no longer be haunted by that cupcake, ice cream or pasta. Learn how Principle 3 of Intuitive Eating: Make Peace with Food, can help you put food preoccupation behind. If you’re like most women, thoughts of food occupy more than the 2-3 hours that experts consider healthy. You might find yourself haunted by the candy dish at work or the dessert that you consider unhealthy. Or you might be experiencing guilt and shame about the chips you ate because you caved after not eating them for a month. Making Peace with Food will help cravings, preoccupation and binges become a thing of the past. Read on to learn about how you can make peace with food. Making Peace with Food is Principle 3 of Intuitive Eating. If you’re wondering what Intuitive Eating is, you can click here to read my article What is Intuitive Eating? Principle 3 is making peace with food. This means giving yourself unconditional permission to eat ALL foods. Often, people honestly believe that they give themselves permission to eat foods. They do eat foods they consider to be unhealthy or forbidden. However, it’s usually on a “cheat day” or when they violate one of their food rules. It might be eating dessert only on a special occasion or at a birthday party, or eating a bag of chips after a long day at work. Making peace with food means giving yourself UNCONDITIONAL permission to eat ALL foods. The word unconditional is key to truly making peace with food. Think about it: Do you truly give yourself unconditional permission? Or, like many of the women with whom I work…..
Do you only allow a particular serving size? Do you use exercise to compensate for eating certain foods? Do you have rules about when or how often you can eat these foods? All of these forbidden foods have been restricted or completely absent from diets, or “clean eating” regimens. After a period of abstaining from these foods, cravings for this food increase until you start thinking about it nonstop. It might be a week, a month, or a year, but once you eat the food, you start eating it in large quantities. Feelings of guilt and shame arise as you swear you’ll go back on your diet (or “healthy eating plan”) tomorrow. Ironically, even as you’re eating this food that you’ve been craving, you’re not really enjoying it because you’re planning for your impending diet. Your mind already knows that this food is going to be absent from your diet for a period, so you’re “getting your fill” today before the deprivation starts again. For many women, this deprivation, craving, binge, shame cycle goes on and on for years. It might look different: Some call it a cheat day, while others go for extended periods without the food, but in the end, it’s all the same. The beauty of Intuitive Eating is that you eventually re-establish trust with your body. All foods become neutral: an apple is morally equivalent to a piece of chocolate cake, because you truly know that you can freely have one or the other whenever you want. With Intuitive Eating, there’s no such thing as a cheat day! Perhaps this all sounds intriguing but you want some science to back up the theories of deprivation and bingeing. Biological factors like increased hunger hormones and psychological changes cause us to think more about food. These processes ensure that our bodies get the energy we need. There’s been lots of rhetoric lately about sugar addiction, etc. I’ll plan to address that in a later blog, but I will speak to the science behind deprivation. During World War II, a group of conscientious objectors agreed to participate in a “starvation study” conducted by researcher, Ancel Keys. This group of healthy men with no history of dieting were subjected to a period where their calorie intake was cut to half of their usual intake. After 6 months (and significant weight loss), their usual diets were resumed. Even after they had gained back all the lost weight, they were obsessed with food and reported dreaming about it, craving foods, and even reading cookbooks (and remember, this was in the 1940’s – in a time before The Food Network)! These effects persisted long after the study had ended. Food insecurity – When money is tight, in childhood or in the present, the inability to purchase foods can cause feelings of deprivation that later result in binges and overeating when these foods are available. Strict food rules in your family of origin – Some parents believe that they are helping their kids when they don’t permit any treats in the house. However, these rules often backfire when children are exposed to forbidden foods at school, restaurants, or friends’ houses. Guess what these kids do when they go to school or a play date? These are all different ways that people get stuck in this cycle. So, how do you work on Principle 3 of Intuitive Eating? How do you make peace with food? Start by making a list of foods that you don’t eat. I recommend ranking these foods from those that provoke the least anxiety to the most. Choose one of these foods and purchase enough for multiple servings. No single serving bags here. Plan a time to eat this food without distraction. Find a time when you are well-rested and not under lots of stress. Sit down to eat this food with all of your senses. Note any feelings that arise: anxiety, shame, guilt, joy, etc. 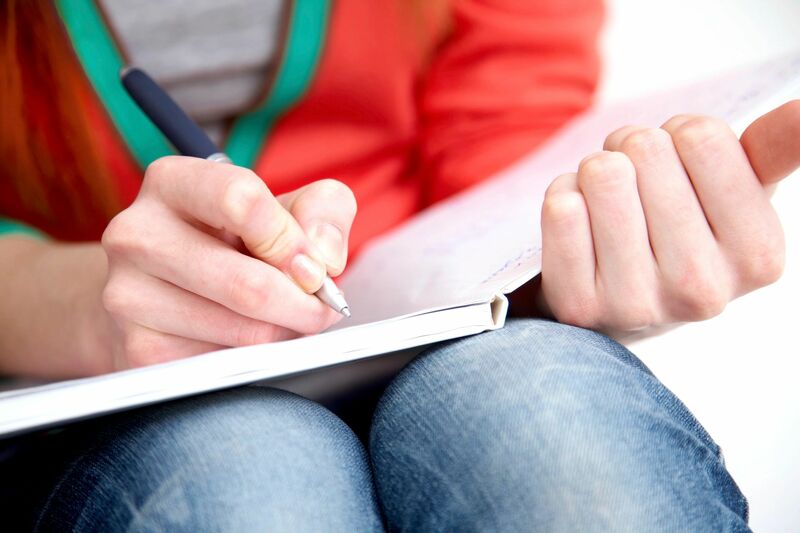 You may find journaling about the experience to be helpful. Continue this process until this food becomes emotionally neutral. Many people have questions about making peace with food and how to begin the process. 1. Is it really that simple? Practically speaking, yes. However, I truly understand that fears and challenges that come along with this process. Intellectually, the process is simple, but emotionally, it can take time and require support. That’s why a lot of clients work with me, as they get the support of a Registered Dietitian as they are going through this process. The support is key to their success in staying on the path to becoming an intuitive eater and stopping the deprivation-binge cycle. 2. How long will it take to work through each food? This process is highly individualized so I don’t like to put a number on it. Generally speaking, the longer a food has been forbidden, the longer it will take for that food to become emotionally neutral. Most of my clients tell me that it’s a shorter time when they are being supported with someone like me. 3.How many servings should I allow? I urge you not to place any restrictions around the amount of this food you can eat because that will ultimately continue your sense of deprivation. My recommendation is to purchase more than you think you need though. 4. Can I skip this step and still learn to be an intuitive eater? In short, no. I really do understand how challenging it can be to take this step. Sometimes, I liken it to jumping into the middle of the ocean without a life jacket. But, without making peace with ALL foods, it really is impossible to break the deprivation – binge cycle you are in right now. 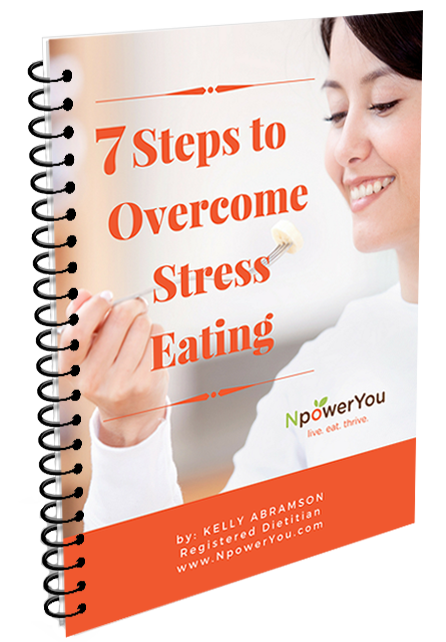 Using the steps above can serve as your guide to begin systematically working through your fear foods to make peace with food, a key step to becoming an Intuitive Eater. Stay tuned to the newsletter as I continue to explore Intuitive Eating. Next time I’ll be talking about Principle 4: Challenge the Food Police. If you feel you are someone who needs some extra support as you work through this step on your intuitive eating journey, one of the special services I offer to my clients is working through eating their fear foods in my office and getting one-on-one custom support. If you want to find out more about how I help women make peace with food click here to book a complimentary 15-minute discovery call with me. We’ll discuss your areas of struggle, your goals for the future and I will show you different ways that you can make them a reality. Disclaimer: While Intuitive Eating is often the end goal of an individual with an eating disorder, it is NOT appropriate during earlier stages of recovery. If you have been diagnosed with, or suspect you have, an eating disorder, I would be happy to discuss working together in coordination with your therapist and primary care provider.